Braden Williams is on the hunt for treasure buried centuries earlier by Rhode Island pirates. His search brings him to the property where Aleen lives. 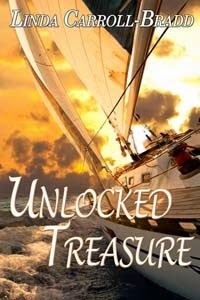 Collaboration on genealogy research draws them closer, and Braden steers her toward his true passion--sailing. Thank you Linda for sharing your book with us today! In honor of the Hauntings in the Garden releases and my own WITCH'S TATTOO I'm participating in a Rafflecopter. Visit the Wild Rose Press Haunted Authors and enter to win a $25 Gift Certificate from TWRP. Enter to win until November 1st 2014.